The crisp fall air is upon us; harvest in most parts of the country is in full swing, fall calving is under control, and there is a short break in stock shows. It is a great time for BioZyme® dealers to start planning and preparing for producer meetings. 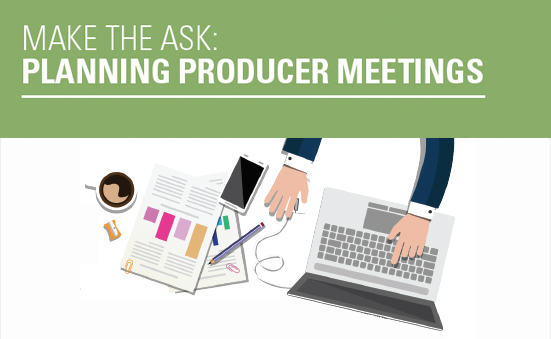 First, as a dealer, you need to set a date, time and location for your meeting. Make sure it is on a day that doesn’t conflict with something else in the area that would diminish attendance, such as a sale or the state football playoffs that your local team is in for the first time in decades. Send out invitations so the producers get them a week or two in advance. And if possible, follow up that invitation with a phone call the day before the meeting. Once you have a date set, be creative in picking a location away from your store. It makes them feel appreciated to see you meeting with them outside of the normal place they do business with you. Orts, and her counterpart in Oklahoma, John Jeffrey, agree that the meeting should be held at a restaurant or a small community building and in conjunction with a meal. Jeffrey says if the food is good, people will show up. And Orts has learned by experience to keep the room small for a more comfortable setting where everyone can hear. She says if the room is too big, the acoustics might suffer, and if producers can’t hear, they are not going to pay attention. Orts likes to make the meetings interactive and asks questions of the producers to get them involved and relaxed. 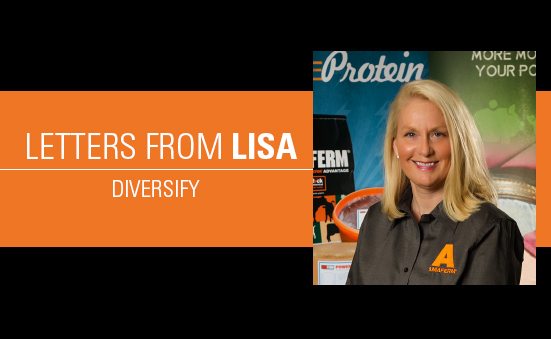 She then asks for any current customers to provide a testimonial about the BioZyme products, saying that most producers will share their passion at the spontaneous response. And she also makes sure everyone knows about the Amaferm® advantage. and people stayed for nearly three hours to learn about the products and share ideas. It is a great idea to plan a meeting with other groups or businesses with similar goals. Jeffrey says he has piggy-backed with local cattlemen groups or pharmaceutical companies to share costs. When working with a drug company, he says they showed research that mineral usage increases the effectiveness of vaccinations – sharing both messages at once. And with the new Veterinary Feed Directive (VFD), it is timely to coordinate meetings with pharmaceutical companies. “You just have to ask,” Jeffery says. “You can’t sell something to people if you don’t ask them to buy it.” Jeffrey says when coordinating meetings with dealers, he likes to run a short special for those in attendance, which also encourages the producers to visit the store or place an order within the first week after the meeting. Orts likes to send each meeting attendee home with a sample of Vita Charge® Liquid Boost® because it will likely save one life and help gain customers. Both area sales managers say to follow up and call those who attended. Having multiple product lines may allow a growing business to diversify risk and capitalize on its established reputation. Multiple product lines can also strengthen competition in its industry, while at the same time enhancing the company’s checkbook. Certainly after reading that statement, everyone is interested in expanding their products or product line(s). 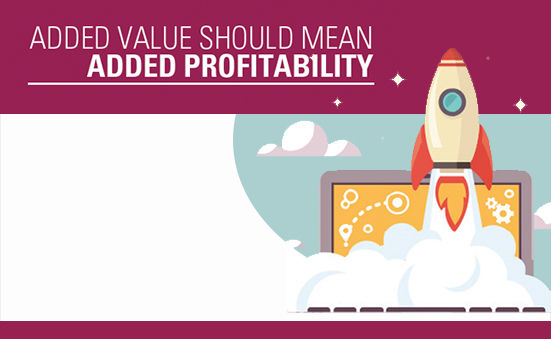 However, while it may be beneficial to expand a product line or bring in a new product within a line, those benefits do not come without considerable work before the sales start rolling in. Please note, any one of these 17 steps could cause the ones before it to be reevaluated making the process at times overwhelming. First, get an idea of what to expand. 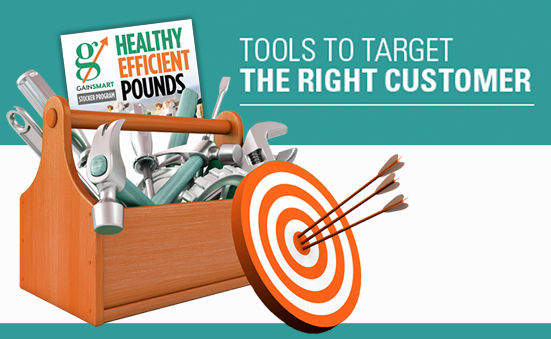 Determine the specific needs of customers in that market segment. Identify the product features that would be most attractive to them. Assess the market size and the competition. Create/formulate the product based on science and market research results. Figure out the best distribution channels to achieve the highest market penetration. Test the product to determine its effectiveness. Decide how you’ll position the product in the market segment you’ve identified using that proposition. Make sure that doesn’t conflict with any other products, product lines or brands in your portfolio. Create the name and “look” to support the positioning. Execute, execute, execute and PRAY. Pray the product is positioned and priced correctly, works correctly and sells in the time you predicted. Did the product deliver consistent results? What are the ideal customer’s characteristics? Is there enough of a market to support the product? Does the market available to you have a place for the product? Who are the top market competitors? How are their products the same or different? What are their marketing techniques? What are the key differences that would compel customers to select your product over another company’s? If the launch is successful (and let’s face it – the reason you’re launching a new product is because you want it to be successful) can your company facilitate the increased demand? Do you have resources for handling customer education, inquiries and needs? In the end, if you do your homework and move forward with an analytical eye, your product or line extension will increase sales, help you reach new markets and build market share overall for your growing business. Go be a “rocket” star! History shows that production profitability is closely tied to several key factors, one being cost of gain. Producers can use their records on specific input costs and gain calculations to benchmark their enterprises. Simply, cost of gain can be used to make good business decisions. 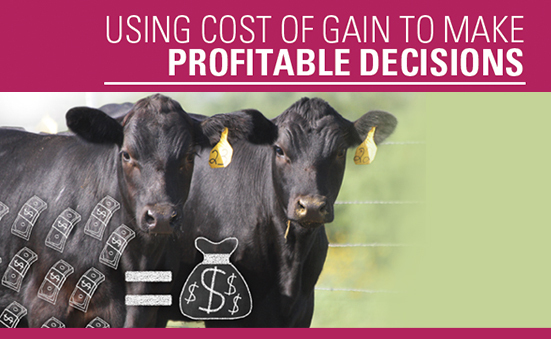 Management records indicate that feed costs can account for 50-70% of the cost of producing beef, and should include both purchased and raised feed. The cost of raised feed is computed using the opportunity cost of feed grains, hay, pasture lands and other feedstuffs produced by the ranch and utilized in the cattle growing operation. Feed per unit of gain (feed efficiency) has remained a very important factor in producing profits or losses. Feed conversion or efficacy is typically assumed to be an indirect indicator of profitability. The calculation for feed efficiency is: total feed consumed ÷ (weight sold – weight started). Therefore, as the name implies, it is a simple ratio of feed divided by amount of gain or a ratio of average daily intake divided by the average daily gain. Feed efficiency is usually a fairly straight forward number to generate. The next step is to link economics to biology. By using the feed cost instead of feed consumed, making an expression of feed costs per unit of gain, one has converted a biological equation to an economic indicator. Total cost of gain can be divided into the compartments that make up the gain. For example, researchers and nutritionists agree that Amaferm® will increase average daily gains of stocker cattle about 0.2 pounds per day. This weight gain is in addition to the 0.2 pounds per day that will be realized from the mineral, trace mineral and vitamin supplementation in the Gain Smart™ minerals. With a total supplementation cost of about 12¢ per head, per day, the cost of gain for Gain Smart mineral is only 30¢ per pound. 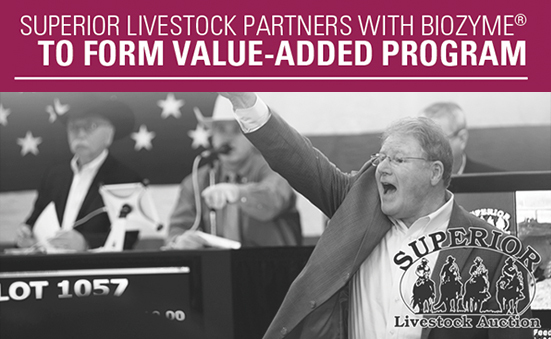 Cattlemen will always be drawn to supplements that efficiently enhance gains, lower the overall cost of gain and improve profits. For more information, contact Twig Marston, BioZyme Technical Sales Field Manager at (816) 596-8792. Just like a trapeze artist must take a risk when letting go of one swinging bar to catch the next, growing your business year after year involves risk. This month I want to focus on the trust involved in taking those risks – much like that trapeze artist trusts that the next bar will appear just as he lets go of the one he is already clinging to in mid-air. Some risks are easy to execute but take a decent sized bank account while others are hard to execute but don’t take much money at all. I am going to rattle off a list of these options, and then you can decide which one to choose so you don’t need the net. Expanding into new markets provides the advantage of building a larger customer base. By forming strategic partnerships with other growing businesses that offer complementary products and services, you can cultivate a mutually beneficial relationship that will help both of your businesses grow. A diversification strategy opens up new possibilities. You can diversify your product offering or your target markets. Think about the things that go along with the items you sell: boots, apparel, shavings and nutrition services for example. The ability to leverage your existing customer base should be core to better engagement with new prospects and how you funnel them through the sales process more quickly. Don’t take them for granted—your existing customer base can be the key to advancing both marketing and sales activities that lead to significant growth. Perhaps the most aggressive growth strategy is to buy a company that makes products related to yours. We’ve seen that a lot lately with tech companies like Facebook, Google and Amazon that continue to acquire smaller businesses. If you cannot acquire another business perhaps you can arrange to merge with it. Choosing the best option for your business is hard work that involves risk. It is no different than the trapeze artists high above the crowd gracefully letting go of their swinging bar flying through the air being caught and then letting go again. A flyer must fly, and a catcher must catch, and the flyer must trust that his catcher will be there for him. So outstretch your arms; let go, and trust the option you select to grow your business.